In what promises to be a stimulating feast for the senses, The Recycled Candle Co will be hosting their first London Pop-Up ‘Reclaim Luxury’ at 67 York Street, Marylebone from 17-23 June 2018, pairing their unique blend of luxury fragranced candles with seasonal vignettes to inspire visitors to the gallery. Spring’s freshness is echoed in ‘Ginger & Lime’, whilst the heady heartbeat of Summer is given a truly subtle and fresh salty scent with ‘Lavender & Rocksalt’. Autumn’s crispness is embodied in ‘Bitter Orange and Ylang’, whilst ‘Winter Spice’ provides the essence of Christmas Joy. All of the candles are made from 100% recycled wax, which is scented and hand-poured in the company’s studio in Devon. In addition to showcasing all of their unique candles and fragrances, The Recycled Candle Co are also launching their #CandleAmnesty campaign to encourage the public, hospitality venues and places of worship alike to donate their old candles to the company and therefore aid them in the battle to stop candle wax ending up in landfill sites. 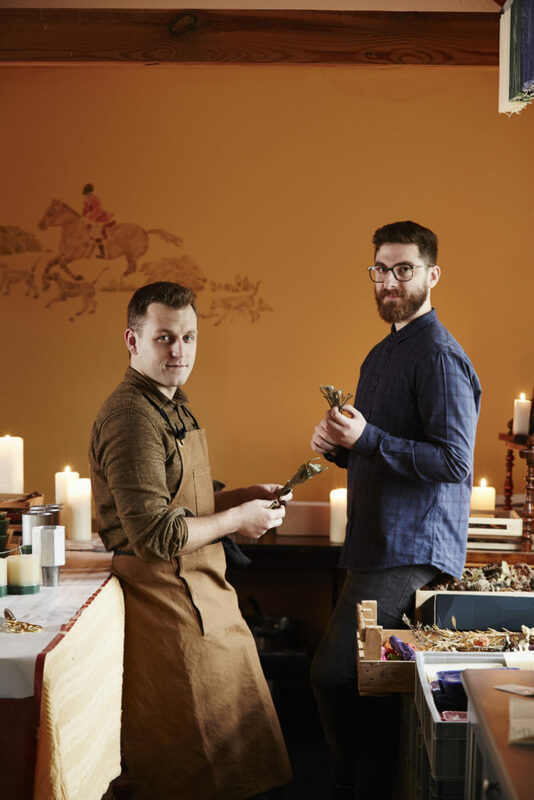 The company will also be previewing their newest fragrance ‘Watercolour’ in advance of its formal launch in September 2018, and hosting a series of workshops at which participants can learn to make their own candles under the expert tutelage of Richard Hills-Ingyon (Joint Founder of The Recycled Candle Co). #CandleAmnesty – Candle wax is not classed as a recyclable material , with tons of it being put into landfill each year. Launching in conjunction with ’Reclaim Luxury’ The Recycled Candle Co are calling on the public and hotels, restaurants, pubs and collective places of worship to join them in their #CandleAmnesty campaign by donating their candle leftovers to the company so that it can be recycled into beautiful new candles, and ultimately prevent it being sent to landfill sites across the UK. From the 17 –23 June 2018 only scrap wax can be left directly with the company at the gallery to stop this pollution. All types of candle wax including paraffin, soy and beeswax will be accepted. All those who donate during the shops’ opening hours will receive a special ‘thank you’ code to use in-store or online, with the first fifty also receiving a 9cl Glass votive (worth £9.50) featuring one of The Recycled Candle Co.’ unique blended fragrances. Individuals and companies who wish to participate, and who may be bringing large quantities of wax are invited to email therecycledcandleco@gmail.com or get in contact via Twitter @recycledcandles in advance to agree a mutual delivery time. £30/£50 for a 1hr/2hr workshop.